​Between topsoil loss, deforestation, and methane emissions from confined animal feedlot operations, agriculture as it is generally practiced today is increasingly acknowledged as a primary contributor to climate change intensification. But when undertaken with an emphasis on soil fertility, biodiversity, and the appropriate integration of livestock, agriculture can actually solve many of the problems it has created at an industrial scale. For Hawthorne Valley Farm, such a healing relationship with the land has been the basis of its work in food, farming, and education for over forty years. Today, this work continues through the active management of over 900 acres of Demeter-Certified Biodynamic© farmland and an ongoing farmer training program that hosts about eight apprentices each year in Harlemville, New York. Lucy Marston at work at Hawthorne Valley Farm. For farmers young and old, making a living off the land while healing it requires management expertise in both economics and ecology: growers must understand the ecological complexity of farm operation while also developing out a financially viable business. Either of these two skill-sets might take a lifetime to master on their own. Hawthorne Valley farmers, which their track record of supporting local growers through education and apprenticeship, know all too well that the future of regenerative agriculture depends on rigorous training in both farming and business, particularly in the context of an economy that devalues the labour costs and nuances of growing food in a way that restores land over time. Steffen Schneider believes we can address many of our social and ecological challenges through agriculture. Steffen Schneider, a veteran farmer at Hawthorne Valley and now Director of the Association’s Institute for Mindful Agriculture, believes that communicating the restorative potential of farming is essential for scaling such practices in the region and around the globe: “We can actually address many of our social and ecological problems because agriculture has this multifunctional character.” This premise, that farming can heal land rather than extract from it in the way industrial agriculture does, is central to the Biodynamic approach of farm management that has been modeled at Hawthorne Valley over the last several decades. As one of the first Biodynamic farms in North America, Hawthorne Valley is grounded in Austrian Philosopher Rudolf Steiner’s vision of the farm as a self-sustaining, inter-connected organism - an overarching principle that seeks to minimize externally sourced farm inputs. While Biodynamic farming often receives attention for its more esoteric management principles, like the preparation of homeopathic remedies and the use of lunar calendars for planting schedules, a core and often underappreciated practice is an emphasis on the integration of animals into the farm ecosystem. At a time when animals in agriculture are increasingly questioned for their environmental footprint, Hawthorne Valley demonstrates that cows, when liberated from confined feedlot operations and managed holistically, can be a boon for the landscape. Beyond providing milk (considered an “added bonus”) for revenue-generating, dairy-based products like yogurt and cheese, the cows yield manure for fertilizing vegetables that support the farm’s 300-member Community Supported Agriculture program. Moreover, cattle build healthy soil through planned rotational grazing - a management practice increasingly recognized around the world as one of the top solutions to climate change for its capacity to build soil organic matter. Cows, whose manure contributes to soil health and thus the nutritional value of Hawthorne Vally produce, also make other contributions to the economy of Hawthorne Valley Farm. The natural partnership between cows and grassland also helps manage pasture on thin-soiled hillsides and flood plains that might not be suitable for growing vegetables or grains in the first place. As ecologists Claudia Knab-Vispo and Conrad Vispo of Hawthorne Valley’s Farmscape Ecology Program point out, “keen observers have long commented that, essentially, floods make bare ground poorer and vegetated ground richer – floods rob topsoil from tilled ground, but then deposit that soil when flood waters are slowed by ground cover.” The two ecologists witnessed this first hand in the early 2010’s when record breaking floods washed away topsoil from fields that had been tilled for vegetable production - these flood-prone parcels were later transitioned to permanent pasture for erosion control in anticipation of potential future flooding. 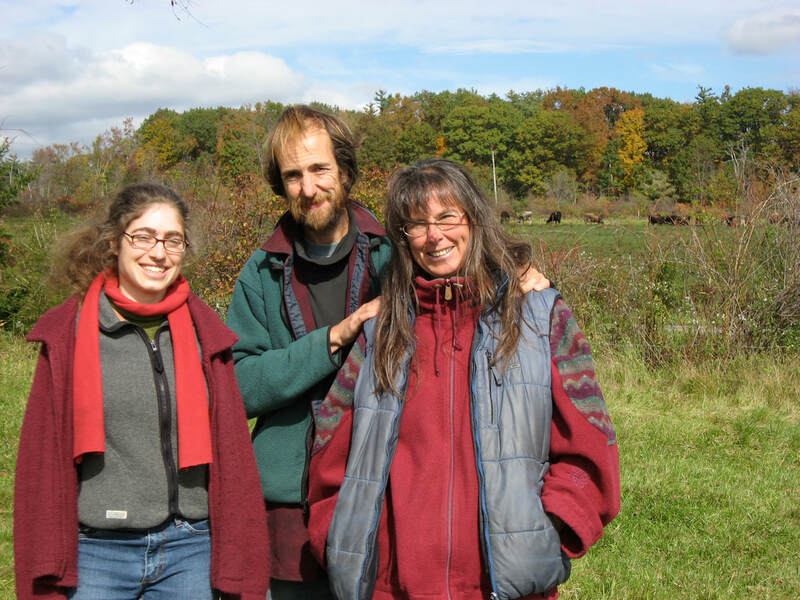 (Left to right): Anna Duhon, Claudia Knab-Vispo, and Conrad Vispo of Farmscape Ecology. 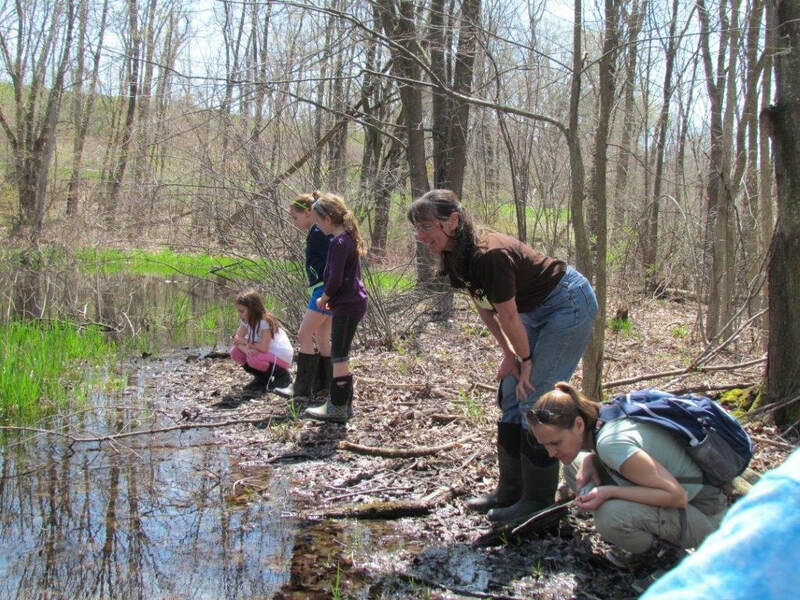 Visitors get up close to biodiversity with Farmscape Ecology. As a part of their work with Farmscape Ecology, Conrad and Claudia support biodiversity initiatives at Hawthorne Valley and other farms throughout the region. 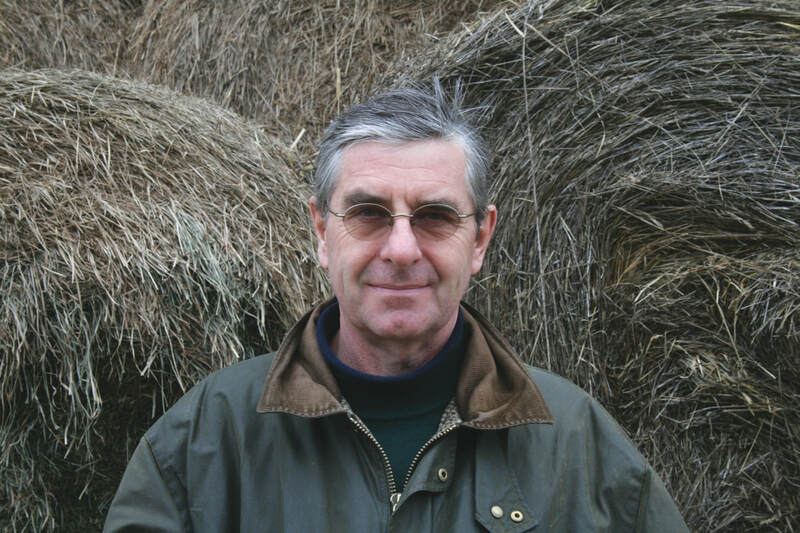 Recognizing that agricultural management can often overlap with conservation goals, their work is premised on perceiving farmland as habitat: “if permanent plant cover on land is good for erosion control,” asks Conrad, “what else can we do with that vegetation that increases ecological services? How, for example, can that hay or pasture be most valuable for biodiversity while still fulfilling agronomic goals?” In planting the right species of plants in these permanent meadows, farmers could invite beneficial insects onto their land while also mitigating soil erosion over time. In perceiving farmland through the lens of natural systems, programs like Farmscape Ecology help achieve the “multifunctionality” proposed by Schneider, where major problems like biodiversity loss and soil erosion are converted into real solutions. And by providing educational opportunities in such a context, apprentices that pass through Hawthorne Valley’s farmer training program leave with a foundation in Biodynamics that can be carried forward into the region’s agricultural sector. Despite this, farmers seeking to derive their livelihood from the land alone face a challenging economic landscape in the region that increasingly threatens the long term success of farms like Hawthorne Valley. As the New York Time recently reported, for example, milk producers in New York State face particularly bleak conditions that have resulted in increased farmer suicides. 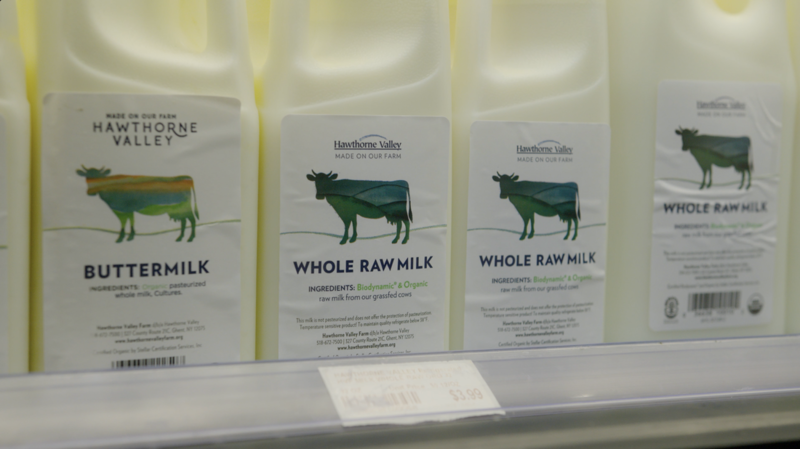 Historically, Hawthorne Valley has relied on value-added products like yogurt and sauerkraut sold directly through farmers markets as a way to maximize its income from farm operations. Today, however, there are serious questions about the economic viability of farmers markets in the region: “we’re having to spend a lot more to make the same amount of money,” notes Lucy, who cites market saturation of local farms and farmers markets as both a sign of the movement’s success and its current challenges. Dwindling sales at markets throughout the region prompted a multi-state initiative by the Farmers Market Federation of New York State to better understand consumer behavioral patterns behind the slump. Results of the survey will be posted next spring. Local, organic food is increasingly recognized as both unaffordable for the majority of the population and financially unsustainable for the farmers themselves to produce. Citing what they term the “double affordability gap,” both Lucy and Steffan agree that farms like Hawthorne Valley face a unique challenge in that premium prices are required for economic viability at the same time that they exclude the very people who would most benefit from high-quality food. “If you look at the population of Columbia County we feel like the market is saturated,” shares Lucy, “because for the small demographic of people that we mostly sell to, it is. But there are tons of people out there who we are not reaching who are just as deserving of good food as anyone else, and it’s a matter of access. So how can we bust that open?” Food quality and food security are core goals of Biodynamic agriculture, but achieving them for the community as a whole while maintaining financial solvency for the farm business remains an ongoing fiscal challenge and moral dilemma. 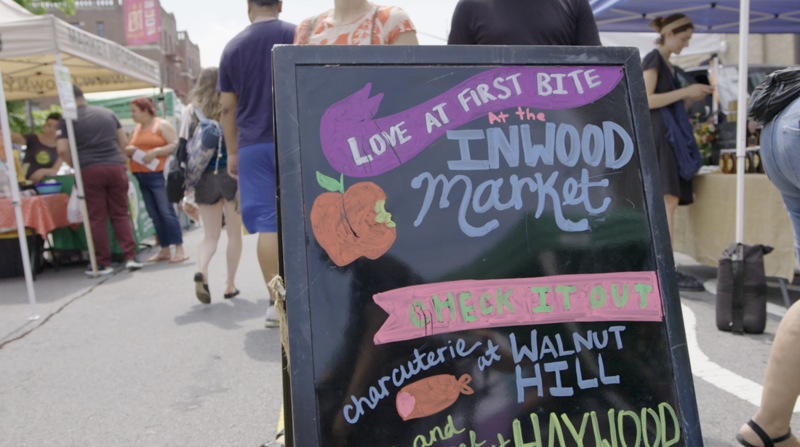 Proliferating farmer's markets throughout the region put city dwellers in close touch with the farm community — a value that can't be quantified. But ​dwindling sales at markets throughout the region have created real economic challenges for farmers. 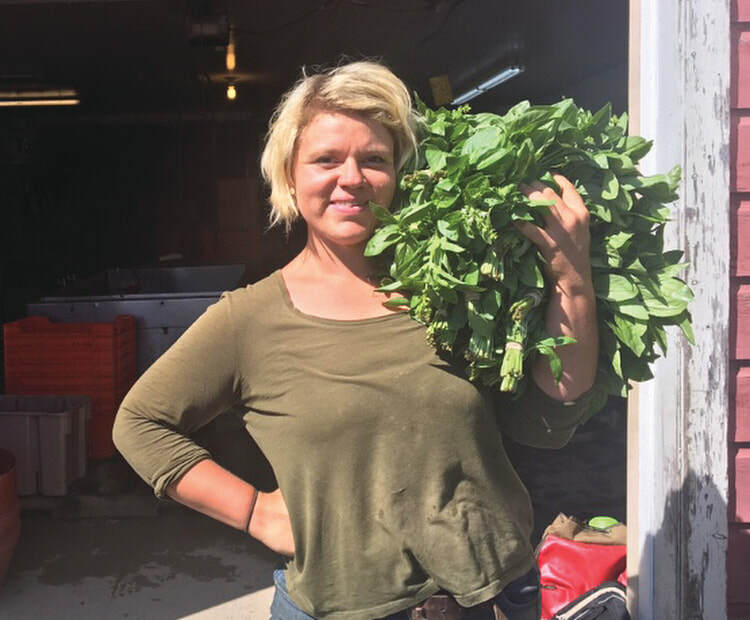 Moving forward, both Lucy and Steffan view collaboration across the Hudson Valley food shed as critical to the long-term viability of agriculture in the region. “I think arguably it will be more sustainable, personally and ecologically, and ultimately economically, for us to partner up,” shares Marston, who is energized by the prospect of organizing farms throughout the valley in a way that increases on-farm efficiency while optimizing routes to market. Such collaboration might allow farmers to specialize in a few crops instead of all growing the same produce and then competing against each other at farmers markets to sell everything. “I really think it’s the only way,” affirms Steffan, “it’s the only way we’re going to figure this out and make agriculture truly regenerative. And part of building that capacity is a tremendous amount of trust. We call it building social soil—you have to build tremendous, fertile social soil.” Schneider looks to CRAFT, or the Collaborative Regional Alliance For Farmer Training, as one point of reference for how stakeholders might work together across the food system to address some of these fundamental economic challenges. CRAFT, which began in 1994 to enhance educational opportunities for new farmers in the region, provides a framework for network collaboration in the food system that Schneider thinks could be a key next step for growers in the Hudson Valley. “What we need to figure out is how do we consciously connect the whole food value chain together — that’s missing right now,” Steffan says. 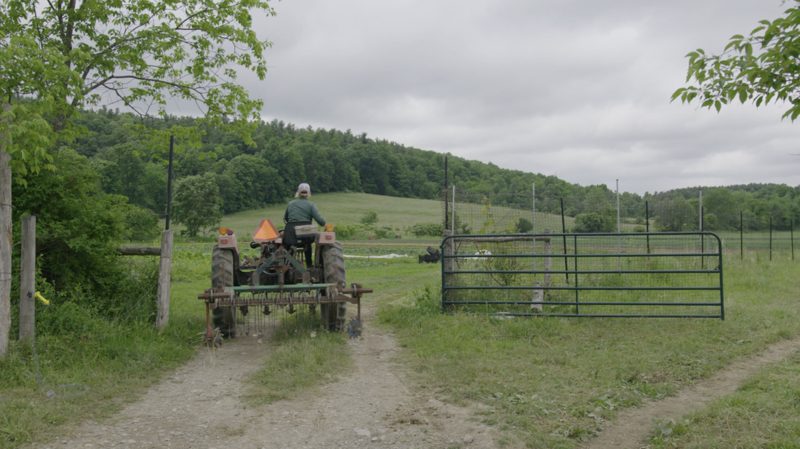 — ​Mark Phillips is based in Great Barrington, Massachusetts, where he explores the relationships between food, community, and agriculture in the new economy. 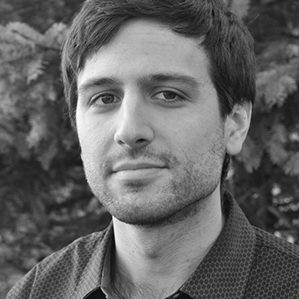 You can learn more about his work here.